On Friday, Sept. 14, two Marines were killed in the Helmand Province of Afghanistan. Sadly, that is not a novel occurrence, as they were a few of the many combat deaths from Afghanistan in the last week or so. 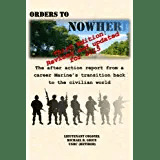 What is novel, however, is that these Marines were not out on patrol in the hinterlands, but instead were killed in an insurgent attack on one of the coalition’s main airbases. The Marines who were killed were members of a Marine aviation unit that supports ground forces as they battle the Taliban. They were on a joint US and British airfield named Bastion, which is home to the helicopters and fixed-wing aircraft that fly and fight each and every day that the war grinds on and on. They died doing what Marines have done for over two centuries: fighting our nation’s battles. These Marines, Lt. Col. Christopher Raible and Sgt. Bradley Atwell, died in an attack that exemplifies the complexity of the insurgent war that we are fighting in Afghanistan. They lived aboard a base that until last Friday was largely considered as safe as it gets in a war-torn country. The Bastion airfield, which is a joint American and British base, abuts the Marine Corps base known as Camp Leatherneck, which is the home to Camp Pendleton’s own 1st Marine Expeditionary Force’s forward headquarters. It also is adjacent to the Afghanistan National Army’s Camp Shorabak, which is the headquarters and home for the Afghan’s military units responsible for the Helmand Province. All told there are several thousand uniformed personnel garrisoned on the complex. Despite the defenses resident on the installations, the enemy was able to penetrate the perimeter, kill two Marines and wreak havoc on the airfield’s flightline and facilities. Six AV-8B Harrier attack jets were either damaged or destroyed, and nine other coalition troops were wounded in the assault. From the safety of our living rooms in the United States, this seems absolutely intolerable and unacceptable. How could the Taliban attack such a well defended base? How could this have happened? The reason is that our enemies are both cunning and willing to sacrifice their lives to further their cause. The enemy is also well-trained, well-equipped and completely dedicated in their convictions. In addition, they are patient. Very patient. A difference between the counterinsurgent wars of the last decade and more “traditional” forms of combat are that our forces have been fighting from the same bases in the same places for years on end, and being in the same place offers a tremendous opportunity to the enemy. He can unwearyingly study the base defenses, waiting to attack until he is fully prepared. He can employ a network of informants to learn about the targets that he wants to hit, and the routines of the people who live and work there. As an indigenous person he or others can infiltrate the base to aid in its planning efforts. With the benefit of time, the enemy can gather intelligence on the targeted base, plan an attack that exploits weakness, and rehearse the assault again and again until they get it right. In short, the enemy is doing exactly what our forces do. Our soldiers, sailors, airmen and Marines are fighting a real war in Afghanistan, with good men and women paying the ultimate price to maintain the freedoms that we at home so easily take for granted. As they try to bring stability and peace to a turbulent and dangerous foreign land, they are fighting an enemy with centuries of hard-fought experience at war, and they fight well. All of the dumb ones died long ago, and the adversaries that we face today are as schooled in the ways of war as we are. That is why two of our nation’s sons died last Friday. We are fighting a war in which the enemy gets a vote, and he grimly knows how to cast it.